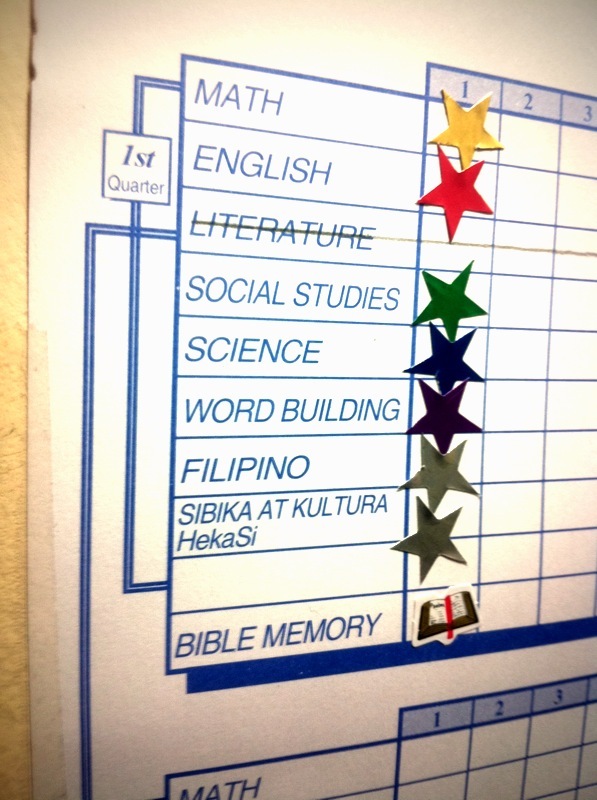 This is our homeschooler’s Level 2 Progress Chart – Week 1. While this might not look to mean a lot, this is actually equivalent to 7 PACES. Each has at least 27 pages (some have 31 pages). At the rate he’s going, he just might be done with Level 2 by September. Then he’ll be off to Level 3. Honestly, I don’t want to rush him. But since he is pretty pumped up because of his being able to reach his goal of 5 to 10 pages for each PACE per day and the reward he can exchange his Congratulations slip with. The reward he is to get for every Congratulation Slip he gets is an Angry Bird stuffed toy. Jed was never into stuffed toys save for his Mr. Mcguire Ty Beanie bear when he was little. We are really thrilled! 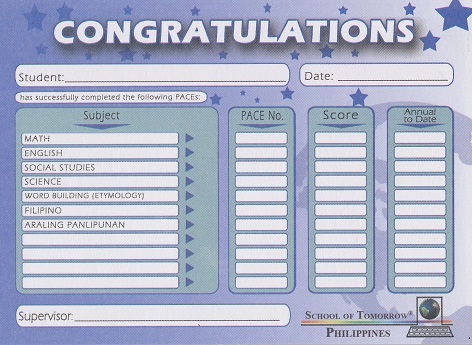 Because despite the fact that he is having a hard time reading in Filipino, he is able to absorb a whole lot of things about the Philippine history in his Araling Panlipunan subjects.